Our fully air-conditioned fitness room offers the perfect mix of equipment for a total body workout. 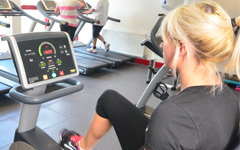 Our range of cardiovascular equipment includes treadmills, rowers, bikes, a cross trainer and stepper. Our new range of resistance equipment includes a preacher curler, dumb bells (8kg – 30kg), Adjustable bench, Kettle bells, LAT pull down, Lever row, Leg curl / extension, Smith machine, DAP, suspension training, Olympic gym ring training and boxing bags. Our gym is available for all adults (16+) to use and our supervised Junior Gym Session enables 12 – 15 year olds to get fit in a safe and controlled environment. For their own safety all customers must attend a gym induction session prior to using the gym. 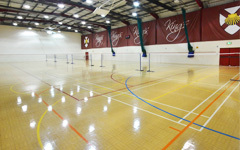 For further information on our Gym Memberships please see our Membership page. Your journey to a fitter you starts with a gym induction, during which our fully qualified instructors will guide you through the safe use of all our gym equipment. The induction will enable you to utilise the cardiovascular machines to their fullest, allowing you to tailor your gym experience to your own tastes. Instruction is also given on the correct usage for the resistance machines and free-weights. After induction, you may choose to continue your gym development with a personal exercise programme. Basic fitness is a combination of strength, speed, stamina and flexibility allowing the individual to meet the demands of a physical task and using our equipment regularly will develop these areas of fitness in a safe and controlled way. After a consultation with one of our qualified gym instructors you will be provided with a programme which is tailored to your personal needs develop one or several of the above components’ of fitness. The focus of each programme can be short or long term and start from any level of experience, but all allow you to reach your individual goals whether they be to lose weight for that all-important special occasion or to run that 10km a few minutes faster than last year! Whatever your exercise needs and sporting level, our staff will be able to help you to achieve your best in a safe and enjoyable way. If you have a short-term fitness goal, it is sometimes easier to see the progress and gauge results. However, for those with mid to long term goals or perhaps those on a periodisation form of training, it is important to assess relevant fitness components periodically. All the components of fitness listed above are measurable and by periodic testing of an individual’s level it is possible to track adaptations. Such testing makes it possible to measure an individual’s fitness level and to review fitness programmes and, where necessary, to adapt or make changes to those programmes to ensure better results. By combining a specific training plan and periodic fitness testing, we at KRSC can help you to plan, measure and achieve your individual short, mid or even long term goals. 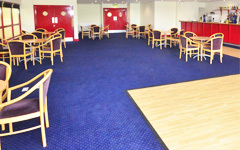 Once you have completed your Induction session you can use the gym on a pay as you go basis. Our Junior Fitness Sessions enable 12 – 15 year olds to use the gym whilst being supervised by one of our fully qualified gym instructors. Once you have completed an Induction* sessions to make sure that you fully understand the equipment, you can attend any of our supervised Gym Sessions.